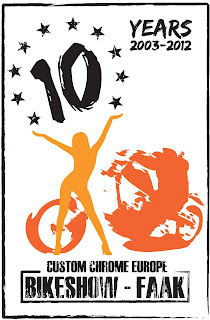 A bike show celebrates its birthday – and Custom Chrome Europe invites to the party: For the 10th anniversary of CCE’s Ride-In Bike Show at Faaker See, there will be party! The Custom Chrome Europe Ride-In-Bikeshow can be ranged among the top bikes hows around the globe – and the 2012 event will feature several news. 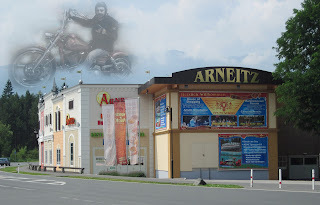 Most significant is the brandnew Arneitz event hall, which now spans the entire (and extended) „Arneitz-100 Showmile“, offering an excellent event site! Again, the best bikes of European Bike Week will be present! 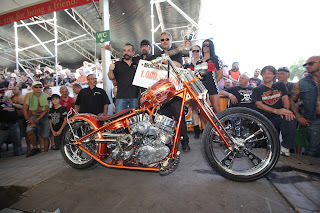 Every participant is welcome, the bikes will be judged by a highly specialised 10+ jury, selected by press members and custombike-specialists. The Custom Chrome International Bike Show Series classes are: Championship, Modified Harley , Jammer Old School, RevTech-Performance, Chopper, Bagger and Sportster-Engine. 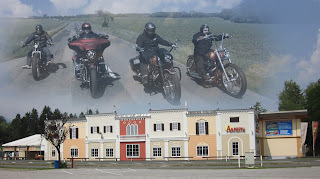 Ride-In-Bikeshow Faak 2012: 10 Jahre Custom Chrome Europe Ride-In Bike Show in Faak! !